In ThetaHealing, the concept of manifesting is the Belief that it is possible to create something into the physical using the power of the Creator-Of-All-That-Is. As an Instructor of the Manifesting & Abundance Seminar, you will be given specific direction from Vianna on the best way to teach this valuable seminar to your students. Not only will you continue uncovering and releasing your own blocks to manifesting your desires, but learning how to assist your students so that every one is in a win/win situation. You will have first hand knowledge on how to use the tools of ThetaHealing to download your objects and things to enhance your emotional well being, bring in virtues, and create abundance in all areas of your life. 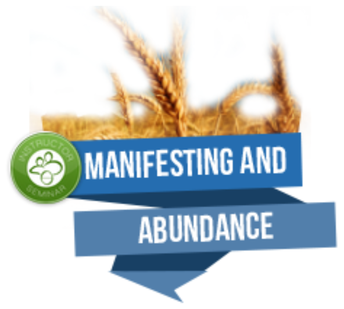 By utilizing the check list presented in the Manifesting & Abundance Practitioner Seminar, you will have received additional insight of how the beliefs are held on the 4 levels, core, genetic, history, and soul. 1. To teach you how to use ThetaHealing® in the Highest and Best Way to assure you success in all aspects of your life. We'll be shifting reality to create space for relationships, careers, and purpose in life we want to envision. As for wealth, having financial abundance is nothing more than having the energetic tools needed to complete our mission/ goals on this earth. 2. To give you vital universal tools to self discovery to utilize your potential. ThetaHealing Basic DNA, Advanced DNA, Dig Deeper and Manifesting & Abundance Practitioner + Basic DNA Instructor, Advanced DNA Instructor & Dig Deeper Instructor.